David & Nicky Robinson's Simply Ned won the 1.15 at Leopardstown in spectacular fashion after hauling in Footpad after the final hurdle. Mark Walsh rode the 11-year-old down the final stretch to pip the prohibitive favourite at the post. 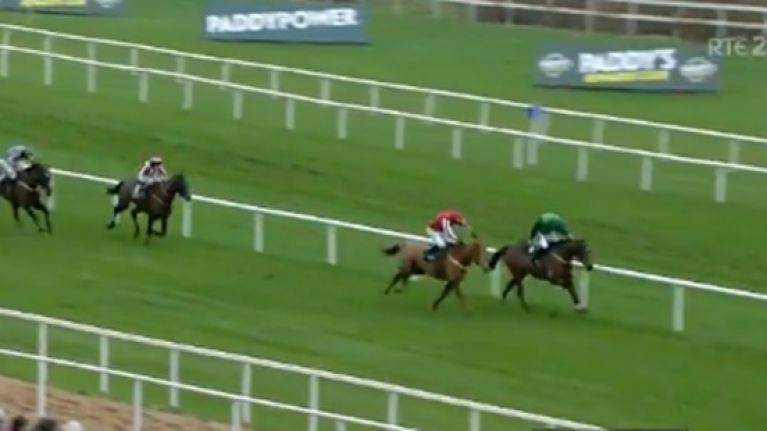 It's the second successive year Simply Ned has won at Leopardstown with the horse also winning on this day last year when the Irene Hatton bred runner was awarded the Paddy's Rewards Club Chase after odds-on favourite and first-past-the-post Min was disqualified for causing significant interference. Trainer Nicky Richards was confident that Simply Ned would be able to mix it with the top horses at Leopardstown telling Racing TV earlier this month that he's only ever really beaten by 'superstars'. “He’s in great form. He did a bit of work earlier in the week and I was very happy with him,” said the Greystoke handler. “Whatever takes him on will know they’ve had a race. He’s well capable of mixing it with those big boys. “I was just saying to someone the other day, every time he gets beaten he seems to be beaten by a superstar.